This year’s concert goers can expect to see A-list South African musicians including Shortstraw, Bottomless Coffee, Zolani from Freshly Ground, Beatenberg and Opposite the Other. 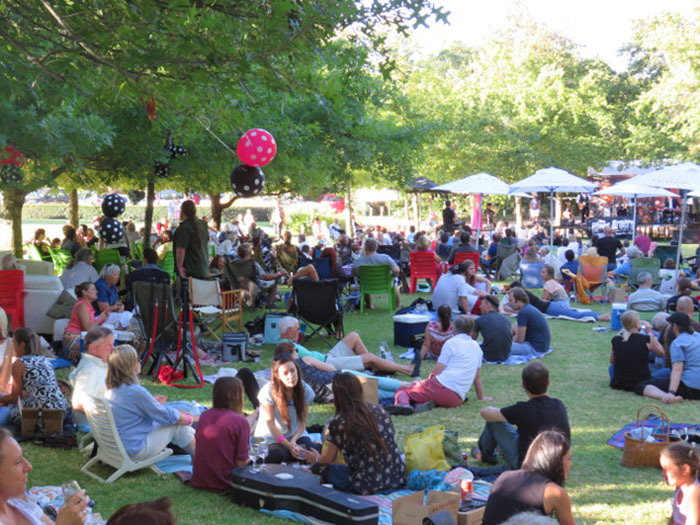 Aside from fantastic live entertainment, Backsberg will be offering delectable pre-ordered picnic baskets, purchasable via Quicket, as well as a food court offering for guests who’d prefer to purchase food at the venue. Popular food truck, Die Worsrol, will be serving up delicious delights including German, Asian and vegetarian options all served with complementary sides. Furthermore, Lickity Split – the food truck that is every sweet tooth’s dream -will have a gorgeous selection of Belgian waffles, ice creams and hot drinks on offer. Just incase world-class musical acts, picnics under the oak trees and heavenly foods weren’t enough, Backberg will also be offering some fun activations including a flower-crown building station and a play area for kids complete with a jumping castle and face painting facilities. Cape Talk will be hosting some exciting activations too. Last, but definitely not least, each guest (18 and over) will receive a complimentary glass of Backsberg wine included in their ticket price, and wine and soft drinks will be available to purchase thereafter. Please note no alcohol from outside may be brought onto the premises, and no alcohol will be sold to persons under the age of 18. Backsberg’s 10th Annual Picnic Concerts presented by Cape Talk are going to be nothing short of sensational. “We are thrilled to offer our guests a lineup of sought-after South African musicians, and in doing so, support our local entertainment industry.” Says Simon Back, 4th generation Owner and CEO of Backsberg.